Mexican wolves are taking one step forward and two steps back in the American southwest this week, thanks to legislation that will expand their range - but also allow the iconic subspecies to be legally hunted. The U.S. Fish and Wildlife Service (USFWS) announced Monday that the Mexican wolf would officially be listed as its own individual subspecies under the Endangered Species Act, separate from the gray wolf listing. The announcement also decreed that the area that Mexican wolves can occupy without relocation would be expanded, as well as the area where wolves bred in captivity can be released into the wild. "This revision of the experimental population rule provides Mexican wolves the space they need to establish a larger and more genetically diverse population - a population that can meaningfully contribute to the subspecies' recovery. But conservationists have taken issue with exactly what USFWS defines as the Mexican wolf's "recovery." With just 100 members left living in the American Southwest, Mexican wolves are a particularly rare endangered species. USFWS also announced the number of Mexican wolves needed to consider the subspecies recovered and eligible for removal from the Endangered Species Act: 300 to 325 wolves. Reuters reports that conservationists have previously set a target number at 750 individuals. Eva Sargent of Defenders of Wildlife said in a statement that the USFWS will also have the authority to issue permits to hunters and government agents to hunt and kill members of the few remaining Mexican wolves in order to protect deer and elk for recreational hunters. Her group issued a joint statement along with the Center for Biological Diversity and Earthjustice opposing the new rules. 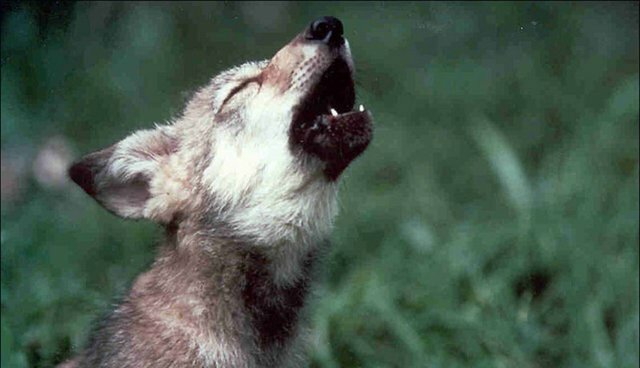 "Allowing Mexican gray wolves to disperse over a broader area is a positive, but that positive is negated by an unfounded population cap and increased authorized killing - neither of which is based in the science that says what's best for lobos," she said. Once entirely wiped out by hunters and trappers in the wild in the U.S., a captive breeding and reintroduction program has helped the Mexican wolf gradually return to the Southwest. See this page for information on how to help the iconic subspecies recover.